With spirited nightlife, buzzing markets, and beautiful architecture, Buenos Aires offers great diversity. Known as the ‘Paris of South America’, Argentina’s capital city has distinct European influences – from cute cafes to grandiose buildings. The city has plenty to offer in the way of culture – from tango shows to historical squares to museums. 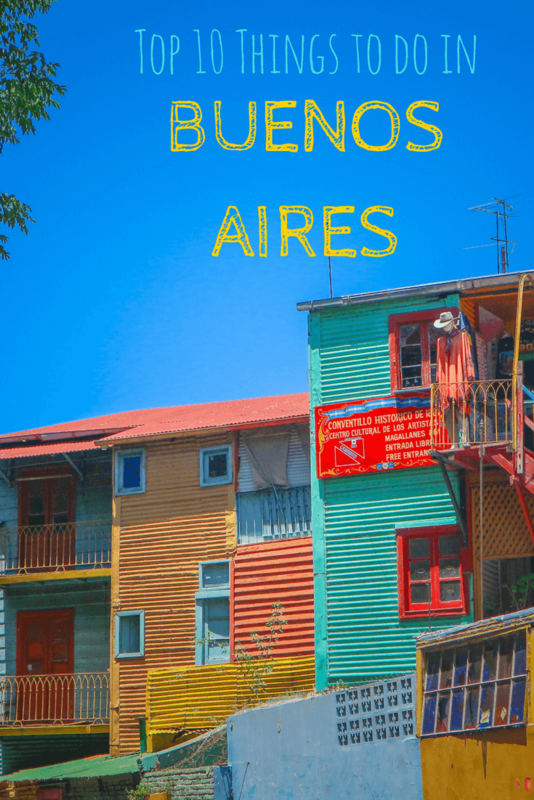 Yet, as opposed to many other major cities, there are few so-called ‘must see’ sights in Buenos Aires. One of the most enjoyable things to do is simply wander the streets and take it all in. Having spent almost two months in the city, we had plenty of time to discover the highlights. 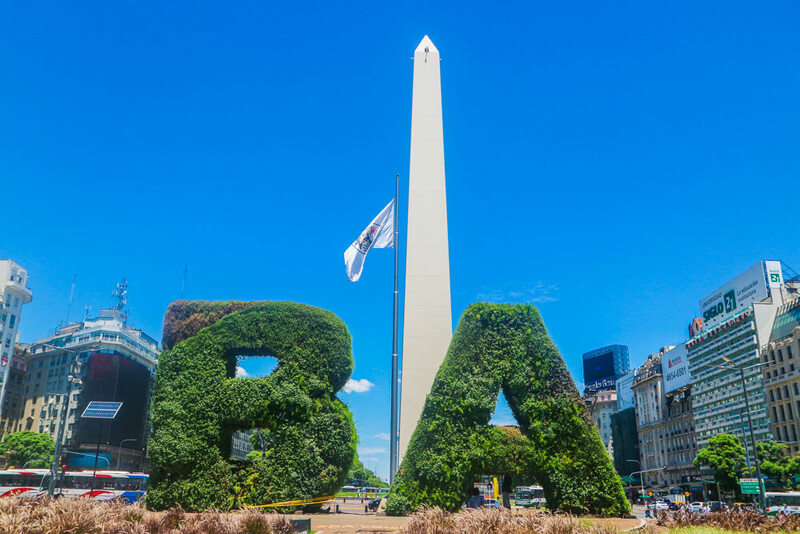 From visiting the most famous Buenos Aires sights to enjoying lush green parks around the city – here’s our guide of 10 places to visit and things to do on your trip. 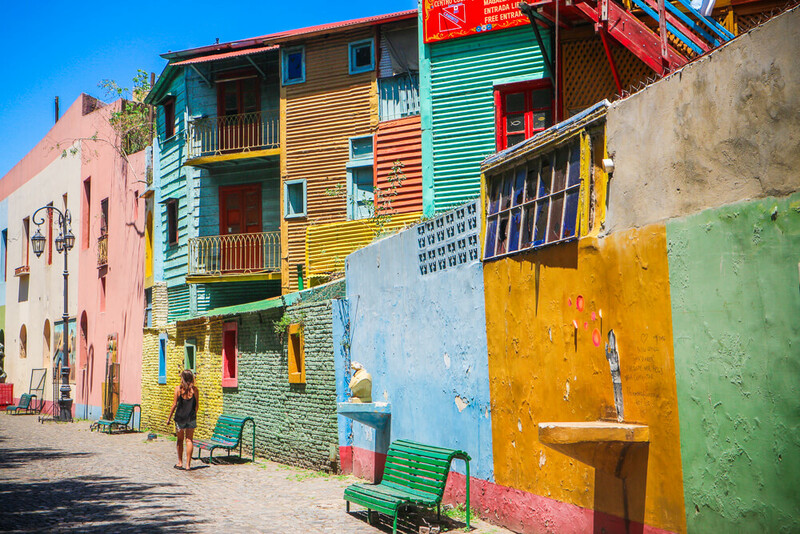 The vibrant and colourful neighbourhood of La Boca is an essential stop and one of the best known sights in Buenos Aires. Although it is one of the poorer areas of the city, a stroll around the quaint neighbourhood will surely brighten your day. Be sure to stick to the busy tourist areas, as armed robbers have been known to target tourists in the area. You should be safe in the areas between El Caminito and La Bombonera – the towering stadium of the famous Boca Juniors Football Club. It’s easy to reach La Boca via public transport with the help of the Buenos Aires journey planner. 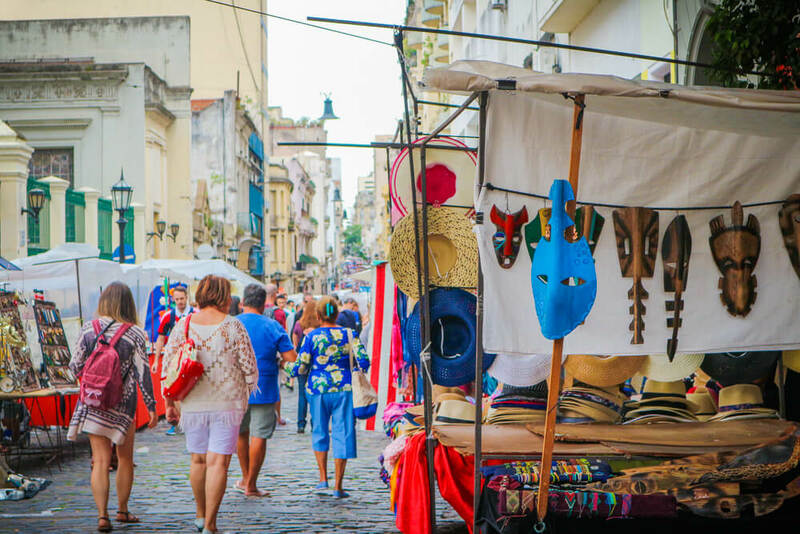 Buenos Aires’ oldest neighbourhood plays host to a bustling street market every Sunday. With street merchants offering antiques, clothing, unique handmade trinkets and more, it’s the perfect place to grab a gift. Yet, you don’t need to part with cash to enjoy yourself here. Street performers are found throughout the cobblestone streets, and the antiques found in Plaza Dorrego make for interesting viewing. Running from around 9am to 6pm, the streets are rammed so you’ll have to weave in and out, but in this instance the crowds add to the experience. Plaza de Mayo, Buenos Aires’ oldest public square, is significant in the city’s history. Around the square you’ll find 3 of the city’s most important buildings – the Cabildo, the main cathedral and the famed Casa Rosada. The square itself has seen countless protests and demonstrations, as well as catastrophe in the bombings of 1955, killing over 300 people. Since 1977, the Madres de Plaza de Mayo (Mothers of the Plaza de Mayo) have marched in the square weekly. Originally they marched to raise awareness of the disappearance of their sons under the military dictatorship. Today they continue to march in support of other social justice causes. Marches take place every Thursday at 3.30pm and it’s inspiring to witness the commitment the mothers have shown to fighting for justice. 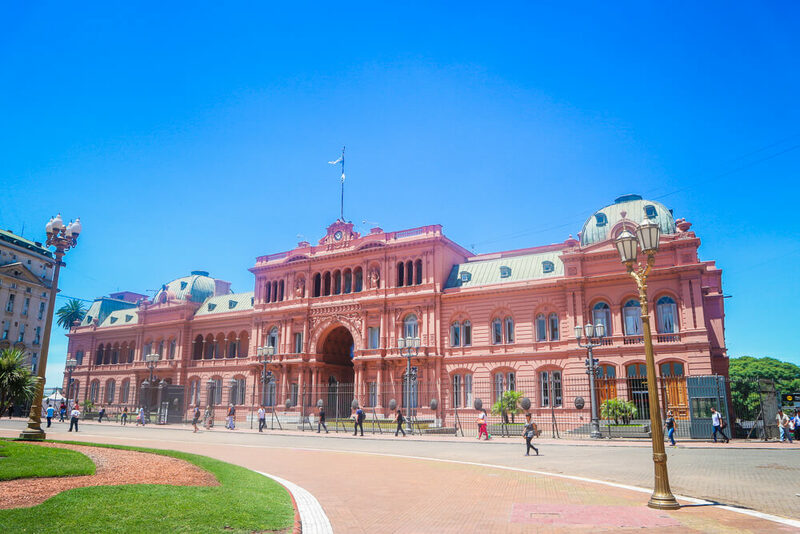 Named after the distinctive colour, the iconic Casa Rosada (pink house) is home to the Argentinian President’s office and is one of the most famous sights in Buenos Aires. 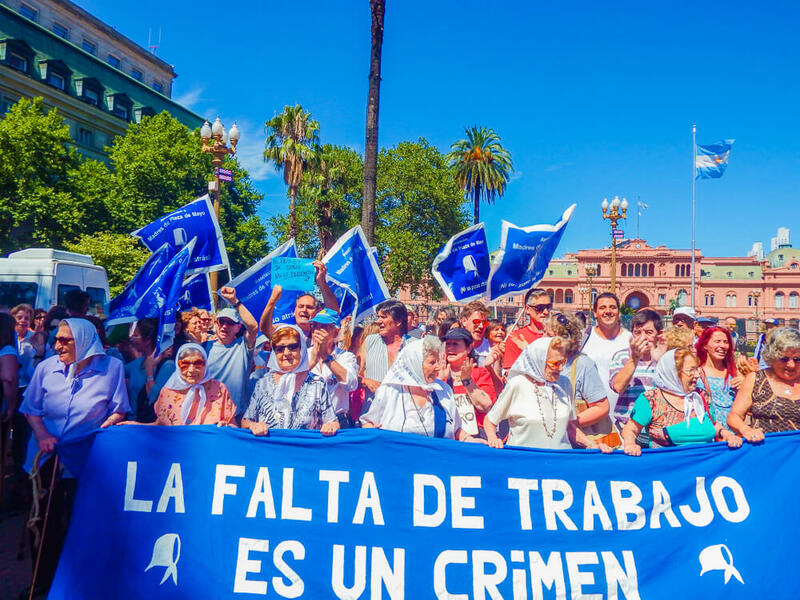 It is from the balcony of Casa Rosada that speeches were made by national treasure Eva Peron – affectionately known as Evita – to thousands of supporters gathered in Plaza de Mayo. Guided tours are available at weekends, and can be booked free of charge here. Tours in English are limited, running at both 12.30pm and 2.30pm, so it’s advisable to book in advance if you wish to see inside this famous building and get better insight into its history. With over 250 parks across Buenos Aires, there’s plenty of chance to get outside and enjoy nature. The biggest of the city’s parks is Parque Tres de Febrero, covering 63 acres. 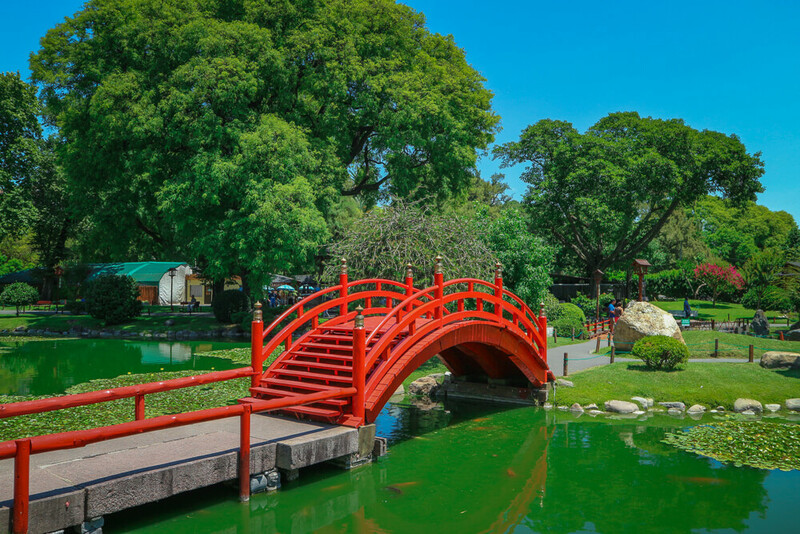 Perhaps the highlight of this area is the beautifully picturesque Japanese gardens. There is an entrance fee of 95 pesos, but it’s a small price to pay for the tranquil setting. If you’d prefer to save your money, the Buenos Aires botanical garden is free of charge. Alternatively, explore other parks throughout the city to discover sculptures and monuments owing to the rich history of the city. 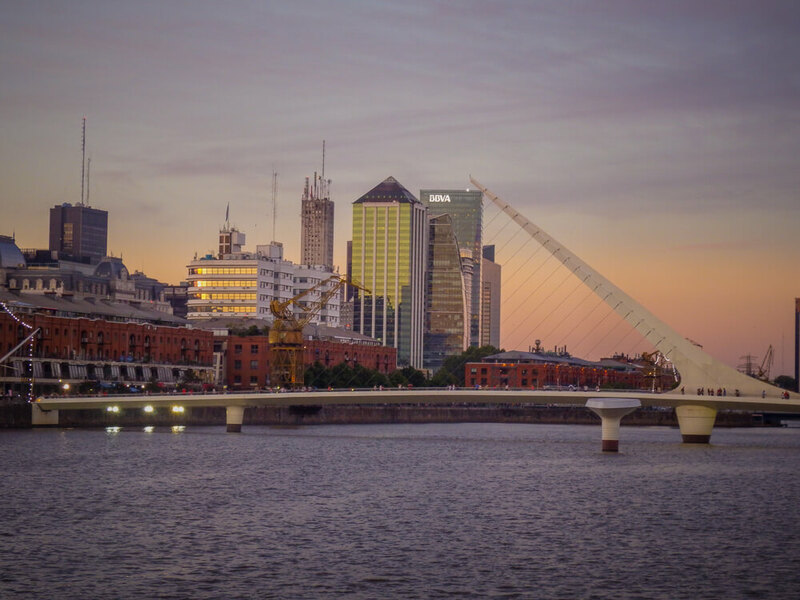 Discover a different side to Buenos Aires come nightfall. Nightlife doesn’t truly kick off until gone midnight, with nightclubs and tango bars commonly packed until dawn. Yet you don’t need to party until the early hours to enjoy the city at night. Wander the streets to get a different perspective of the city as it comes to life. 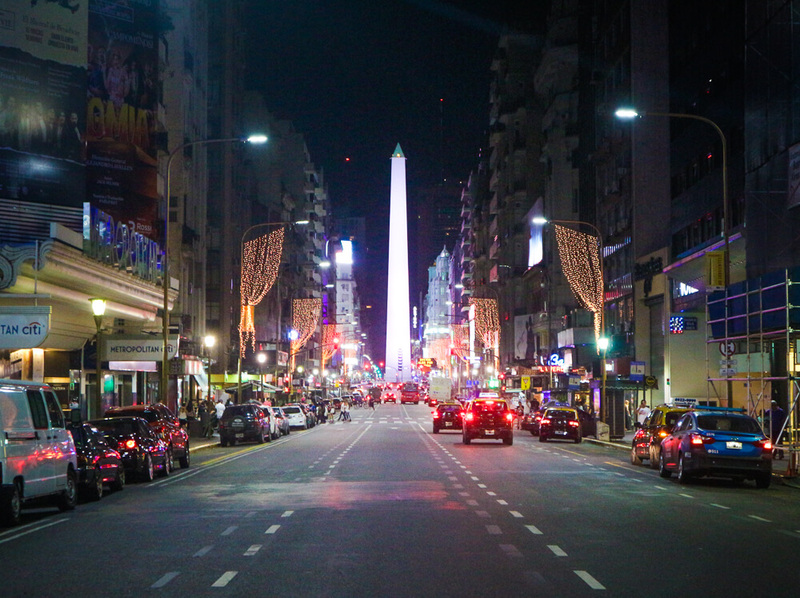 One of the most famous Buenos Aires sights – the Obelisco – lights up at night and is a majestic centrepiece seen from streets nearby. With streets lined with tombs, this is more like a city of the dead than a cemetery. 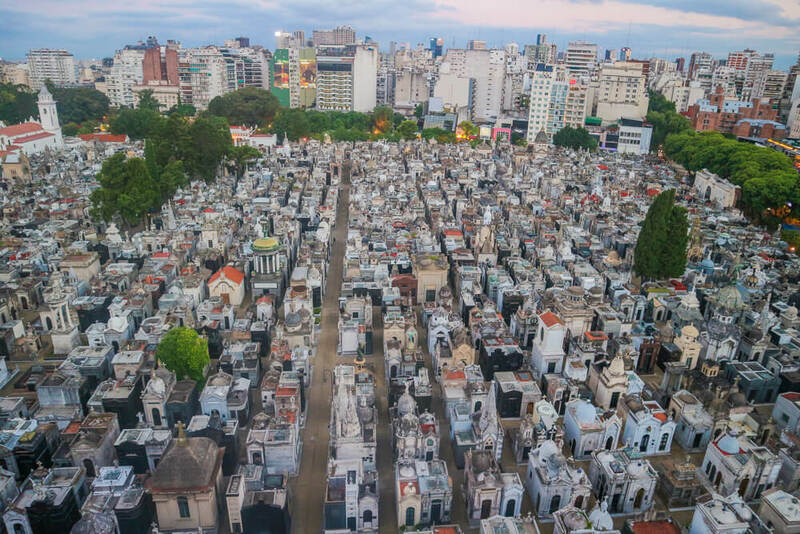 Many of Argentina’s rich and famous are laid to rest here, with magnificent mausoleums and sculptures to signify their importance. The intricacy and detail is a work of art that can only be admired – from towering domes to angel figures. Of particular significance, Eva Peron’s grave is amongst those found here. Being such a popular figure, you’ll find flowers lining the outside of her family tomb. Whilst visiting a cemetery wouldn’t normally be high on our list, there’s a reason it’s considered one of the best in the world, as it is truly remarkable. For those wishing to escape the city, the Costanera Sur Ecological Reserve in Puerto Madero is the perfect choice. With a number of relatively quiet walking trails, you’re free to enjoy the surrounding nature. Along the way you can see huge monitor lizards, turtles, kingfishers and more. If that’s not for you, take a stroll to appreciate the views of the imposing Puente de la Mujer (Woman’s bridge). You’ll find this is a great spot to view the vivid colours as sun sets over Buenos Aires. 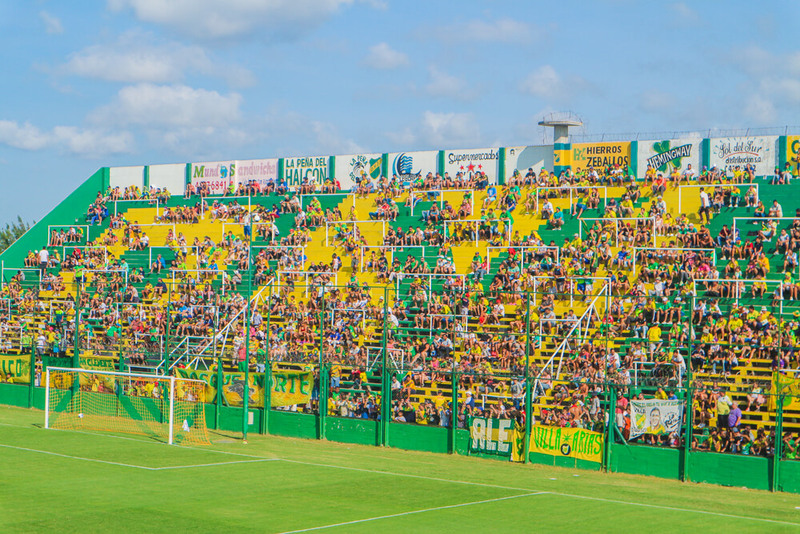 Argentinians love football – whether it’s the domestic Superliga or the star studded national team. Passionate fans chant relentlessly, swing shirts and beat drums, creating a lively atmosphere in an attempt to spur their team on to victory. Even if you aren’t a football fan, it’s worth attending a match just to take it all in. Buenos Aires itself is home to a number of clubs in the Superliga – including the renowned Boca Juniors and their fierce rivals River Plate. Getting tickets for these teams can be complicated and expensive, and is best done through a tour agency. Alternatively, it’s often easier to get tickets to the 3 other big clubs – Racing, Independiente and San Lorenzo. This can be done via their websites, so keep an eye out for fixtures during your trip. We made the trip to Florencio Varela to watch lesser known Defensa y Justicia. Despite kicking off at 9am, and having one of the smaller stadiums in the league, the fans still created an impressive atmosphere, which made the early start worth it. 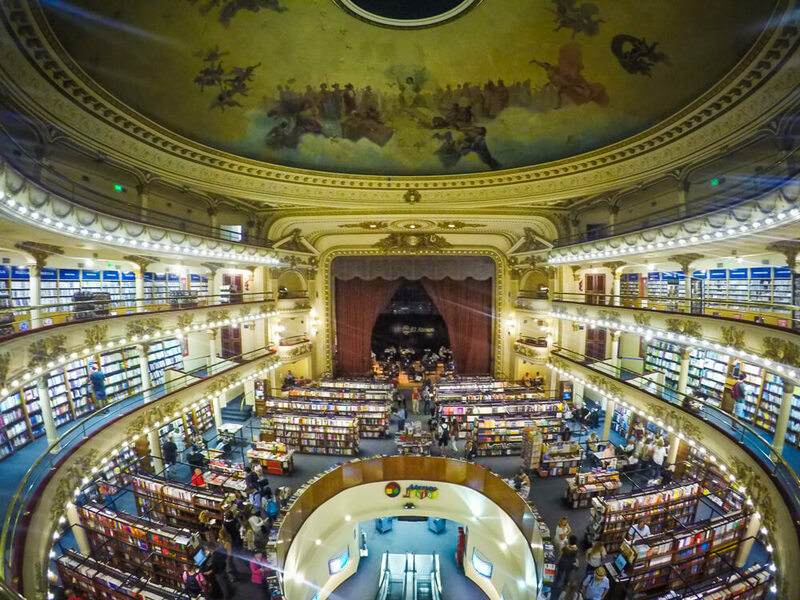 Considered one of the most beautiful bookstores in the world, El Ateneo Grand Splendid was once a theatre. Renovated in 2000, the seating was replaced with bookshelves whilst preserving the original architectural design. The result is the most glamorous bookshop you’ll ever see, and is best appreciated from the top floor. Located in the upscale neighbourhood of Recoleta, the quirky store is well worth checking out if you’re nearby. While the sights of Buenos Aires are not instantly recognisable around the world, there’s plenty of wonderful places to explore. Whether you choose to wander cobblestone streets or educate yourself on the rich history of the city, you’ll have no shortage of things to do. It’s also the perfect place to head up to Iguazu Falls from, with flights operating daily to the spectacular waterfalls bordering with Brazil. As Argentina’s capital city, you simply shouldn’t miss it when travelling South America. Like these things to do and sights to see in Buenos Aires? Pin it!